Jaw dropping Xiaomi Mi Rs. 1 Flash Deals Sale everyday at 2pm, from 20-22 July. Various Mi phones and popular accessories will be up for grabs in limited units. 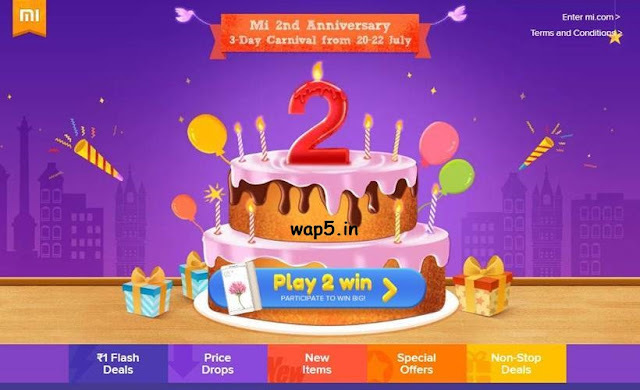 Check out what’s going on for Mi 2nd Anniversary here. Before they also run this kind of offer in Nov Xiaomi MI Diwali Rs. 1 Sale, now its back again. 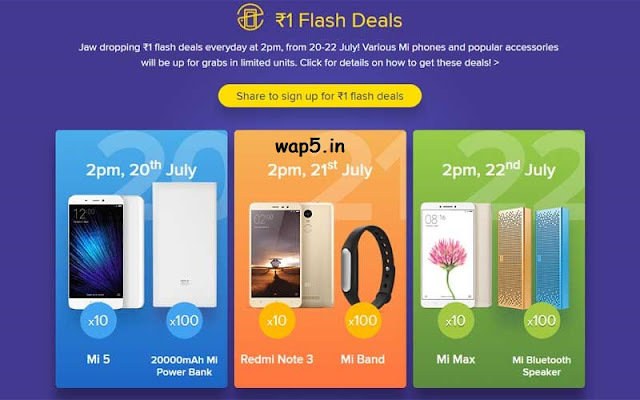 So hurry and register now for flash deals. Get the items listed below at only ₹1! It’s for real! You’ll have to be quick to get them because there are limited units up for grabs. How to Grab Xiaomi Mi Rs. 1 Flash Deals Sale? Back on 2pm, from 20-22 July to grab deal.